The definition of strategic marketing is a multi-phase process. To begin with, it establishes a business’ core market. Then it identifies the advantages that the business has over its competition. Afterwards, marketers allocate resources into specific areas to amplify those advantages. These are the basics for the strategic marketing definition. If you are a business owner interested in making use of strategic marketing in your business to build brand, it is recommended that you gain a deeper understanding of it. Here is a quick overview of strategic marketing definition and purpose. Strategic marketing begins with identifying a target audience. Knowing who your customers are and understanding their needs by conducting customer research will help make your strategies more effective. For instance, if you are in the video game industry, you can focus on a specific demographic. Families will want something affordable and easy to play. Therefore, you should research methods for making your products more competitively priced. You can also work to make them simpler to operate. Narrowing your focus down to individual areas raises efficiency and maximizes potential profits. This is one of the main goals in strategic marketing. A key aspect of strategic marketing is augmenting advantages your business might have over the competition. This begins with finding your most exploitable advantage for the best advertising. If your tomato sauce brand is known for using freshly grown, organic ingredients, make sure to mention that in your marketing campaigns. You may even want to compare it to your competitors. Cite the differences in nutrition. If you are certain that your chosen advantage effectively differentiates you from competitors, you will benefit from focusing all of your resources into it. Pin-pointing your company’s strengths is a crucial step in strategic marketing. Identifying one in advance will help you expedite the process. Strategic marketing is not just a process of identification. It also sets plans for implementing actual strategies, whether you plan to implement generational marketing practices or demographic marketing. For instance, if you decided to focus on your prices as a major advantage, your strategic marketing plan would revolve around making your prices even more appealing. You would look for better deals with manufacturers. You would also try to cut costs and organize your finances. Doing so will eventually result in lower prices for your products. Identifying advantages and planning for eventual utilization is an important component of the strategic marketing definition. 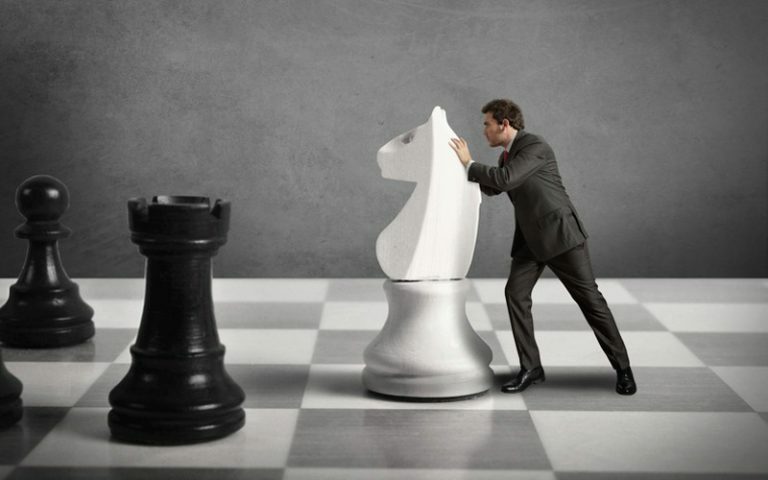 The final phase in strategic marketing involves analyzing the results of the previous steps. Allow enough time for your implementation strategy to take effect. Then you can evaluate the entire process. You will be able to see if your marketing strategy has been effective in attaining goals you set for yourself. Then analyze the numbers to see if the marketing effort is having a positive impact on your business. If it is not up to your expectations, you can work on improving your strategy. You may choose to implement a new strategy entirely. Evaluation is an appropriate final phase in strategic marketing because it allows you to determine areas of success and those in need of improvement. Strategic marketing focuses on the whole entire customer experience rather than one particular part of it. This is an important distinction that separates the strategic marketing definition from its traditional counterpart. With strategic marketing, you want to be sure to keep in mind every way that you interact with your customers, including outbound communications and sales follow-ups. The entirety of the customer experience impacts your business reputation. Be sure to account for this when developing your strategic marketing practices. Analyze past failures to develop new and better strategies. Identify necessary changes in business operations. If you are able to meet these three objectives with your strategic marketing plan, you are sure to experience the advantages this type of marketing can bring to your business, especially for holiday marketing. Make use of strategic marketing best practices above to identify customer needs and create a marketing plan that helps improve customer satisfaction. Strategic marketing can help a business grow by identifying what sets it apart from competitors. You do not need any online marketing certifications to know that. It raises efficiency by focusing on core audiences. It also implements special strategies designed to strengthen key advantages. By reading this post, you have gained comprehensive knowledge on the definition of strategic marketing. This will put you at an advantage over competitors. Try to implement this strategic marketing definition into your business as soon as possible to reap the rewards.